Michelle Berg joined Abeona in June of 2015, serving initially as Vice President, Patient Advocacy and transitioning in late 2017 to Vice President, Patient Affairs & Community Engagement to better reflect departmental focus. As lead for the Patient Affairs department, Michelle’s role encompasses development and provision of education and information on rare disease, drug development, gene therapy, and advocating for change and awareness for the impact on communities served specifically through Abeona’s pipeline programs. Berg is a contributing author and speaker on patient focused programming and rare disease advocacy. Previously, she was the first hire with Aldevron, LLC, now a leading global contract manufacturing organization specializing in biological reagents for R&D through clinical trial use. 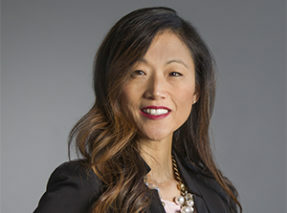 During her time there, she held multiple positions with increasing responsibility, contributing to the growth and reach of the organization, focused on developing strong relationships, collaborations, and services. Additionally, she performed research on behalf of the Department of Plant Sciences, North Dakota State University. Her B.S. in Biotechnology was attained from North Dakota State University in 1997. She brings over 17 years of experience in the gene and cell therapy, vaccine, gene editing and molecular diagnostic fields.